According to major studies, managing money and keeping track of expenses can be the most divisive issue between couples who are in a relationship or a marriage. Most often, one person is a saver, and the other is a free-flowing spender, leading to volatile differences of opinion on how the hard-earned money might be up for some (mis)management. 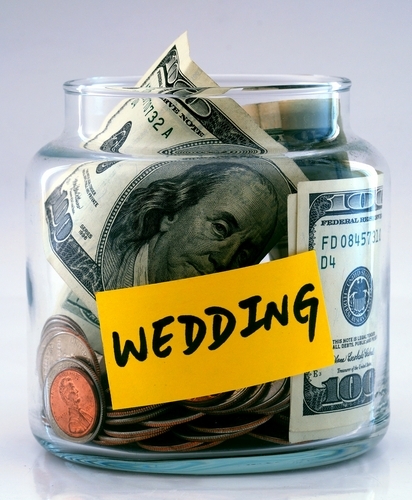 Polar difference in ideas of spending and marriage can make financial decisions difficult and potentially explosive as a topic to mutually convene upon. Such discussions could easily form the first cracks in a relationship, building up to marital disharmony over spending. 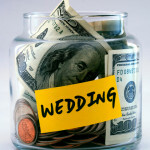 Leading psychologist and marriage counselor Janice Huron says “Communicating the problem and approaches about spending doesn’t come naturally,” adding that “The problem stems from the fact that most parents take upon themselves to resolve financial issues, rarely involving the children or passing on the merits of managing your money well”. The lack of such values of money management means even the most hard-bred kids could end up being prodigal once they have their own sources of income. “A couple often arrives at a lifestyle from very different perspectives on money management, backgrounds and consequently how they view money. Communicating about is difficult, but it is important to breach the invisible wall, lest it leads to more convoluted money issues,” she explains. Add to it the fact that it is not easy to discuss this topic without sounding insensitive to the other important aspects like emotional or spiritual angles. It seems often, the person talking about money management is like the person who attaches a value to every intangible aspect of a relationship – swiftly leading to a predilection towards branding him cold or unemotional. As a spouse make an effort to understand each other’s ideas about finances. Go beyond the established norm of ‘money doesn’t buy happiness’ for several leading studies by sociology and psychology groups have revealed a strong correlation between money and ‘how well our financial and economic decisions are taking shape and returning value’. How did your family deal with (or is dealing with) money? What have you achieved in your independent financial life? From the first bills you paid on your own to taking responsibilities or even running into a debt? What do you require vs. what do you desire? How often do you revisit your financial decisions, review your investments and loans? Cash, credit card or checks – what is your favorite mode of operation? Respect your spouse’s spending habits, but question the blatant inadequacies in adapting to different financial situations. After you hear out each other’s share you begin from a position of nonjudgmental understanding, helpful in working out strategies for both of you. By working from the belief standpoint. It helps both of you trust and let the focus shift from the incompatibility and issues to consideration and new alternatives.” Just communicating may not be enough sometimes, instead reach out to know more about the history and dissect why the spending habit of your spouse might be likewise. If you still can’t agree about a spending pattern, reach out to a financial counselor for advice. Mutual respect, understanding and acceptance of each other begin the process of building a strategy for common money management. Cut corners on expenses which aren’t critical; be sensitive to some expenses which might not always attach direct financial value but emotional fulfillment (e.g. donations to needy, maintenance of family). You may even split the bills depending on which spouse takes majority of which benefits from it. Periodically schedule some time aside for money management, and discussing the issues which are addressed as part of an overall financial discussion. Avoid ending up discussing your finances after opening that mail and found a large credit card bill, an overdrawn bank account etc. – it will quickly descend to mud-slinging over spending habits. Share the responsibility regarding bill payments, budgeting, and handling finances. It also ensures one person is not left without knowledge of the accounts or family’s finances or. If one spouse falls sick, dies or exits the relationship, you are saved some nasty surprises. Make the discussions fun, you may even do this over a beer and watching a game. Just keep a strict eye on the numbers on your paper (or laptop) rather than the scoreboard! Most of all – set some attainable goals. Financial decisions must be made to encourage the couple to improve, set them a realistic challenge rather than break your spirit as you regularly fail to meet the mark. Instead of comparing with others, just grow comfortably into your life and money management. At the end of the day, money isn’t everything. Relations and emotions are far more important. But it is a vital ingredient of collaborating with your spouse and ensuring a prosperous marriage. before i register for courses do i have to go ROMM to register for my marriage first than register for the Courses here? help me im not sure because i 1st time.